We are not professionals in the Hair transplant field though we do treat many clients who have had past hair transplant procedures. Mostly for 1 or 2 reasons, to get more density of Hair and/or to camouflage donor scars left behind from a transplant. Today we a focusing on how SMP (Scalp Micro Pigmentation) can “Beef up”, Boost or add a thicker more dense look to a Hair Transplant patient. The term- Hair density refers to the number of follicular units per square cm on the scalp. Average hair density of a healthy scalp in the hair line area varies from 60 to 110 follicular hairs per square cm. Hair density varies from one person to the next. The goal of our treatment when working with Hair Transplant persons is to seamlessly create further density throughout the transplanted area without compromise to previous work done. The blending results are remarkable and very appealing to all of our clients. 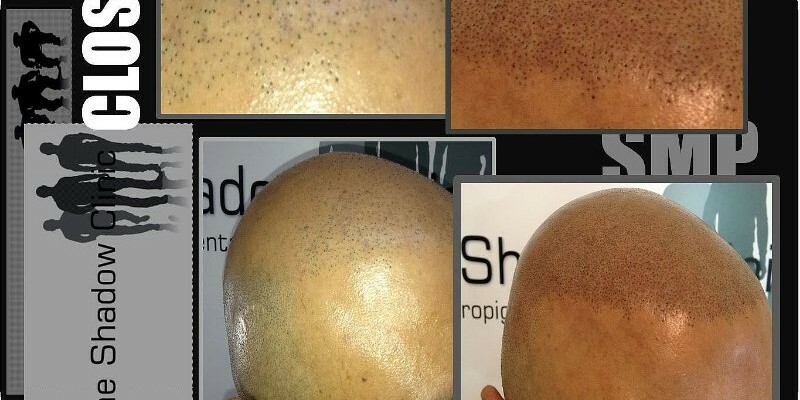 Images below show a client that previously had a hair transplant with a hair density of 5-10 Hairs per sq cm before he received our SMP treatment. 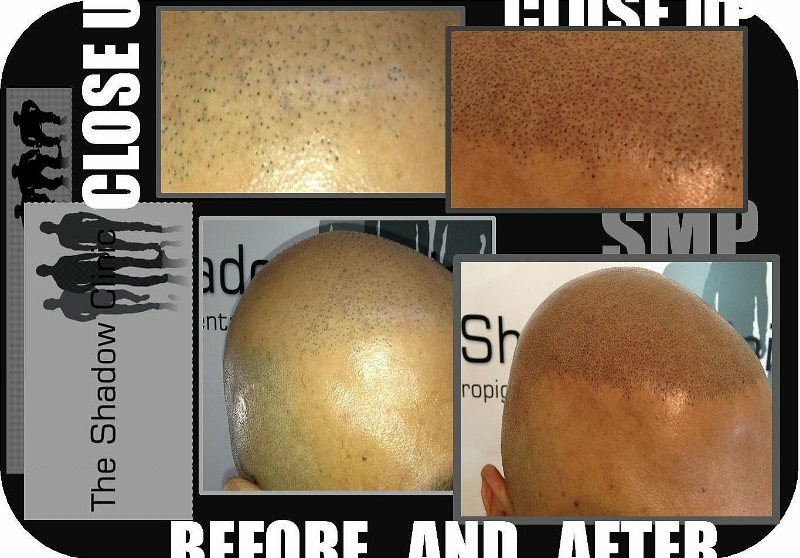 The After SMP (Scalp MIcro Pigmentation) images show a much higher hair density look and a very cheerful outcome that our client had come to expect. We invite any past Hair Transplant persons still looking for extra hair density to consider SMP. A non surgical alternative. Hey Buddy!, I found this information for you: "SMP Giving Hair Transplant a Boost". 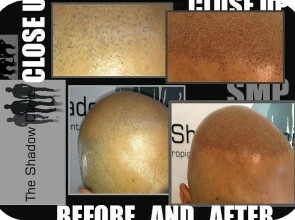 Here is the website link: http://www.theshadowclinic.co.nz/smp-giving-hair-transplant-a-boost/. Thank you.